When it comes to towing, it's important to know your weights. Whether you’re looking to tow a caravan for your next family holiday, a utility trailer to transport business goods or you need extra loading space for moving house, the most important aspect of towing safely is having the right car for the job. To help you make sense of it all, we’ve put together this guide. Most cars have a maximum weight that they can tow safely and legally. The first thing to do is make sure that what you wish to tow doesn’t exceed the trailer's own maximum authorised mass or the car's maximum towing capacity; both figures should be easy to find in the drivers manual. There are usually two maximum towing weights that will be specified: a braked trailer weight and an unbraked one. It’s important to note that if the trailer weight is more than 750kg or over half the car’s kerb weight (this is the weight of the car without people or luggage inside and should be listed in the manual), the trailer must be fitted with brakes. 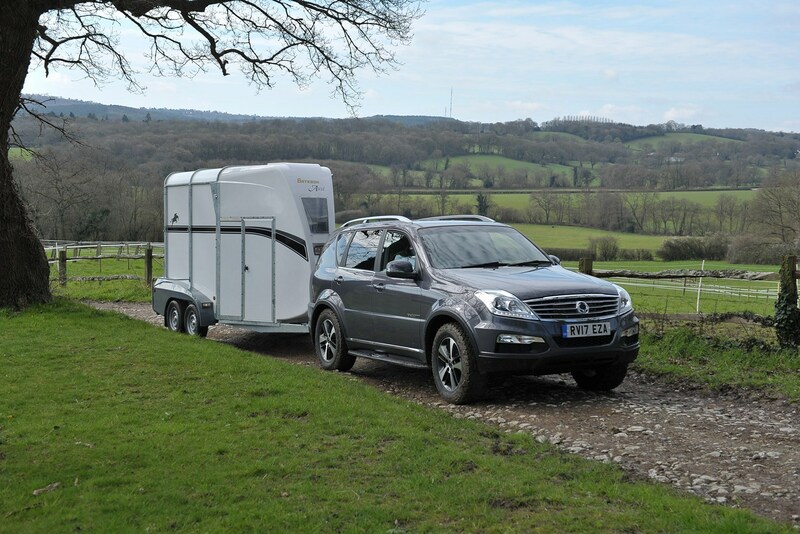 The second important thing to point out is the maximum capacity will also include the weight of the trailer/caravan/horsebox itself, so you’ll need to add that into the equation when thinking about how much weight you can transport. You can buy towing scales which will measure the total weight for you, and it’s equally important to ensure the load is spread evenly to avoid overloading a particular tyre. 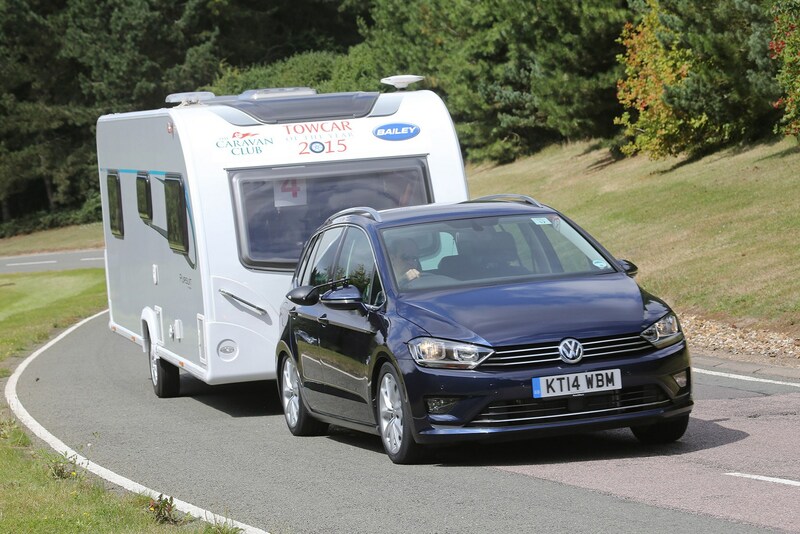 The weight of caravans can vary but generally speaking a car that can tow 2,000kg and above will do the job. Examples include the Mitsubishi Outlander, BMW 5 Series Touring and Kia Sportage. For heavier twin-axle caravans, larger 4x4s or pick-ups will be up for the task. Examples of these include the Land Rover Discovery (3,500kg braked towing weight), Volvo XC90 (2,700kg) and Mitsubishi L200 (3,500kg). Remember to factor in your luggage into the total weight. If you’re planning on transporting six full suitcases with a couple of kitchen sinks then it may push you over the maximum towing capacity for your car. If you’re having a clear-out and looking to transport a trailer to and from the local tip, a small un-braked trailer will probably be fine for this. Most small hatchbacks are able to pull a trailer with a weight of around 500kg including cars like the Mini Hatchback and Ford Fiesta. If you want to transport slightly heavier goods, cars like the Volkswagen Golf and Skoda Karoq offer braked trailer capacity up to 1,400kg. Don’t forget, if the trailer weighs more than 750kg it needs to be fitted with brakes. When towing for business, if the total weight you wish to tow goes over 3,500kg, then a tachograph should be fitted. Most manufacturers will offer a tachograph as a cost option and it’s used to automatically record your speed and distance travelled together with your driving activity. Horses come in all shapes and sizes, and average weights can vary from 200kg for a small pony up to 1,000kg for a Shire. Horseboxes also vary greatly in weight so it’s important to having an accurate figure of what is to be towed before you start. We would recommend using a vehicle that has more than 2,000kg towing capacity in any case. Like horses, cars come in all shapes and sizes, ranging from 600kg for a classic Mini to 2,500kg for a fully-fuelled Volkswagen Phaeton. Car trailers also vary greatly in weight so it’s important to having an accurate figure of what is to be towed before you start. We would recommend using a vehicle that has more than 2,500kg towing capacity in any case. 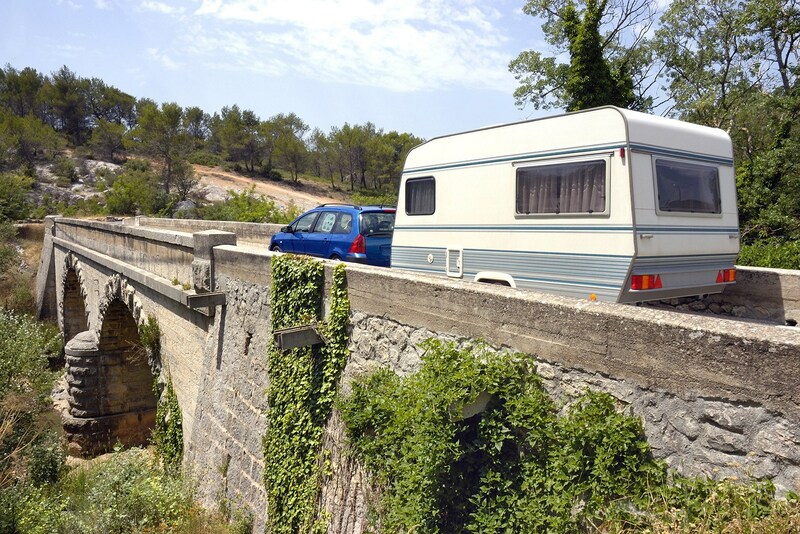 Whether you’re planning a caravanning holiday or moving house, you need to make sure you comply with the law on towing. Restrictions differ on when your driving licence was issued. MAM is the limit on how much the vehicle can weigh when it’s loaded. You have to pass the car and trailer driving test if you want to tow anything heavier - this is called a B+E test. You might need several lessons before you’re ready to take the test. If you passed your car test before 1 January 1997 you’re usually allowed to drive a vehicle and trailer combination up to 8,250kg MAM. If you’re considering buying your new car on finance, make sure you visit our finance section for a quote - we work with over 20 lenders to give our customers access to more than 100 different lending options.